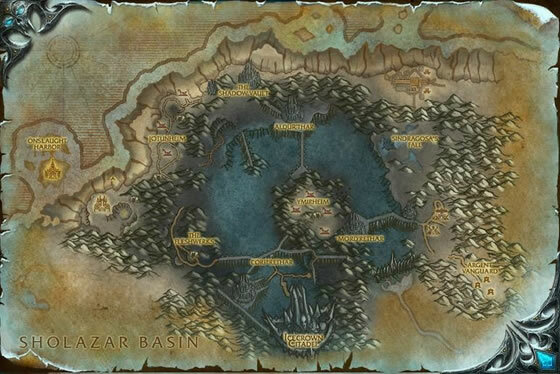 Can be found around Sindragosa's Fall in Icecrown. You know how Immolate works for human pets sitting in the back row? Well Plagued blood works the same way with death and decay as long as the pet with D&D stays active. If you add Sunlight and pets that always hit for multiple times like the clockwork gnome, rascal bot, or crazy carrot can get off a decent amount of tiny heals. This is an important pet to get. In Draenor, one of the daily pet battles is against Cymre Blightblade in Gorgond. You need this pet as your second pet. This is hardest pet battle. Your first pet will most likely die horribly and thats sad. Sorry about that, we will miss that pet. Rest in Peace. But their is hope, bring this pet in secondly and cast Darkness first and then Tail Sweep him to death. Hit his last pet with a Plagued Blood before you die. IT works. Help needed > What team would you suggest to use against a team of 3 Scourged Whelplings? 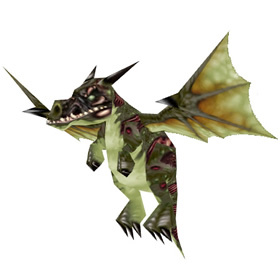 Like the other whelplings (Nexus and Infinite) they are numerous but seem to take a while to respawn if someone's gone through and battled them all, which is what creates the appearance of being a rare spawn. They must have really increased their rate. I just happened to be up there to do the Major Payne battle and saw one. First one was an uncommon. 4 fights later a rare. So there were 5 up there together. Happy days! At first these were very hard to find but lately I've seen a slight increase in the amount that spawn. Be sure to fly around all the mountain sides, they tend to be off to the side (from my experience) rather than in the middle of the spawning area. Definitely a great pet to have as it tends to be slower allowing you to have an extra strike with tail sweep, and is also good for an aoe team in pvp with dreadful breath. Holy! Finally found mine after 20 minutes of searching, was a common, at 68.7, 35.8... Madoran (US)! Logged on straight after maintenance today and the place was full of them. No rares, grabbed 1 uncommon of each breed. Seems to be one of the most popular undead pets in PvP, not near Unborn Val'kyr. Not very good synergy between Call Darkness and Plagued Blood. Have seen more and more trying to use Dreadful Breath, but then you commit to three turns where you can't react. Seems to do well with shadowflame/tail sweep with Call darkness for dragons and healers. Or do Death and Decay, Plagued Blood and being slower gives you two hits from Tail Sweep, the heals with tick in at a steady pace. Definitely think the rates have been upped. Had a toon camped out there for months without ever seing one. Went back on a whim (after giving up for months) and there were at least 8 out there. No rares, but several uncommon. After getting a Rare Unborn Val'kyr, I went to check Icecrown 1 more time, before I log off. There was only a few around that I seen. 2 RARE and 1 common, this was around witching hour. Good Luck! I think I can safely say that they have NOT upped the spawn rate of these creatures of undead awesomeness. I've tried many many times and on quite a few various servers, and I still have yet to find me a rare P/S breed. I have really bad luck with Undead stones too, sadly. I wish I could predict when they'd come back up again on the two servers I have max level toons on. Not sure if they've upped the spawn rate, but I've been flying from Dalaran to the Argent Tournement the past 2-3 days doing dailies, and I've seen a bunch of them up. Just spotted about 5. Usually on around 9pm-2am EST on Windrunner. Kel'Thuzad once nursed a plague-infected whelp to adulthood, feeding it only the finest liquefied remains.